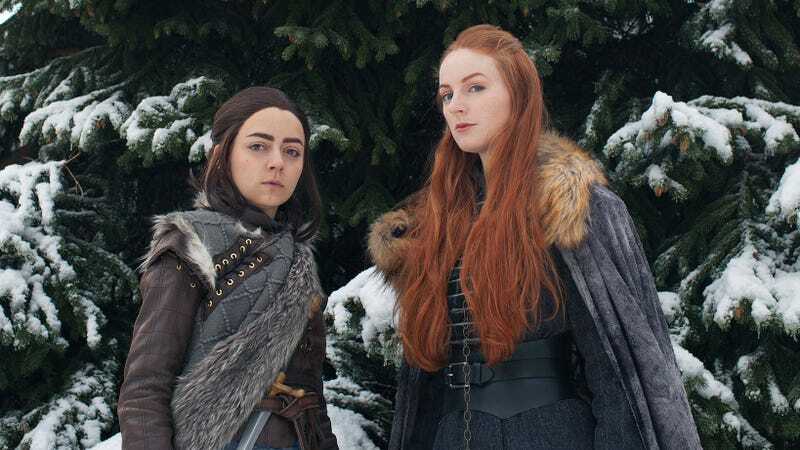 This is Ginny Di and Going Postale with a very convincing Game of Thrones sister act. Once you’re done admiring the overall likeness, check out the detail on those costumes. Sansa’s dress looks like it walked straight off the set.